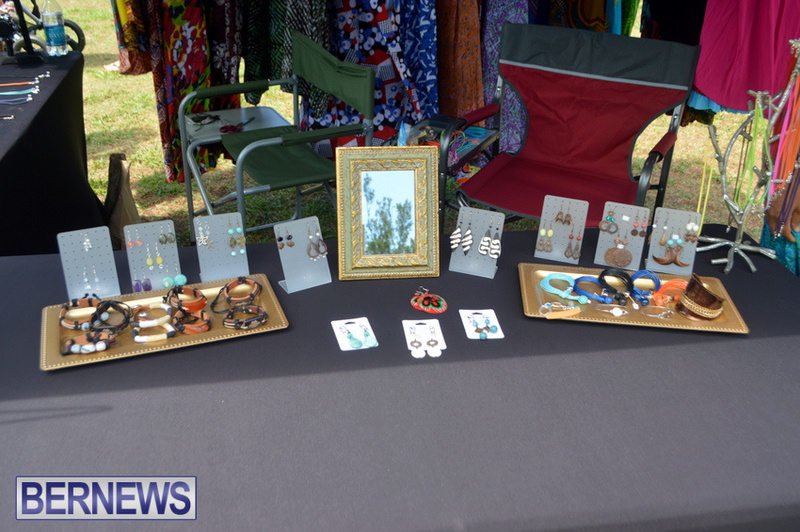 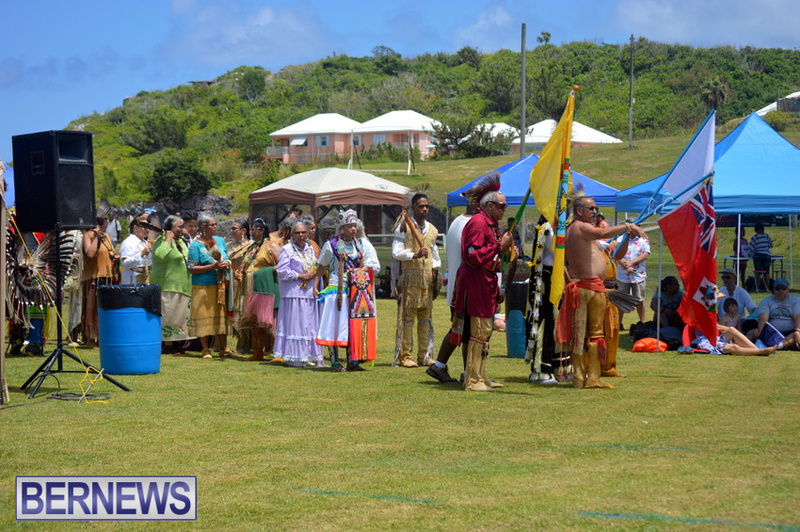 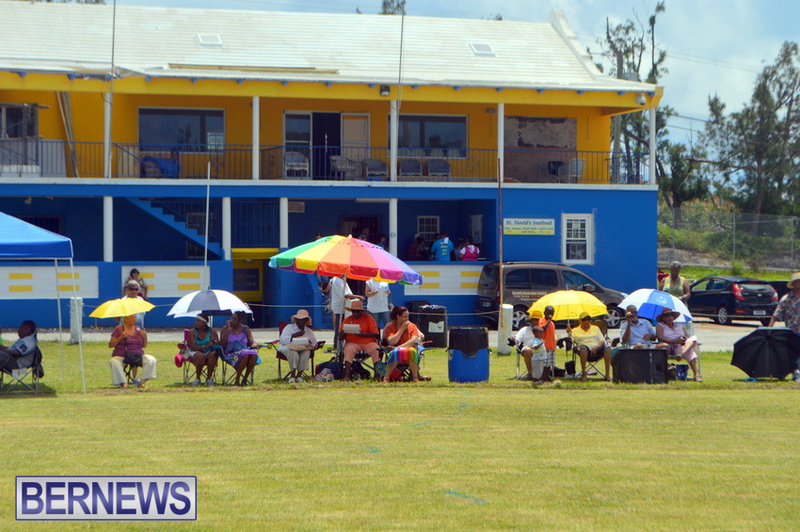 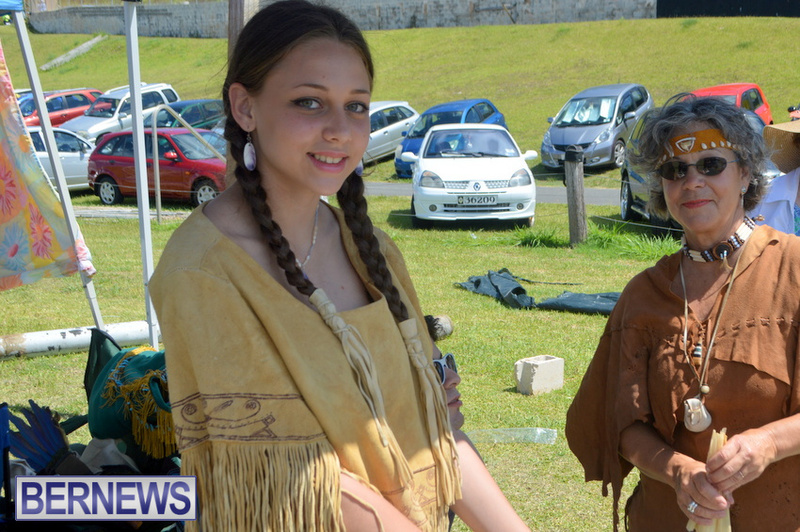 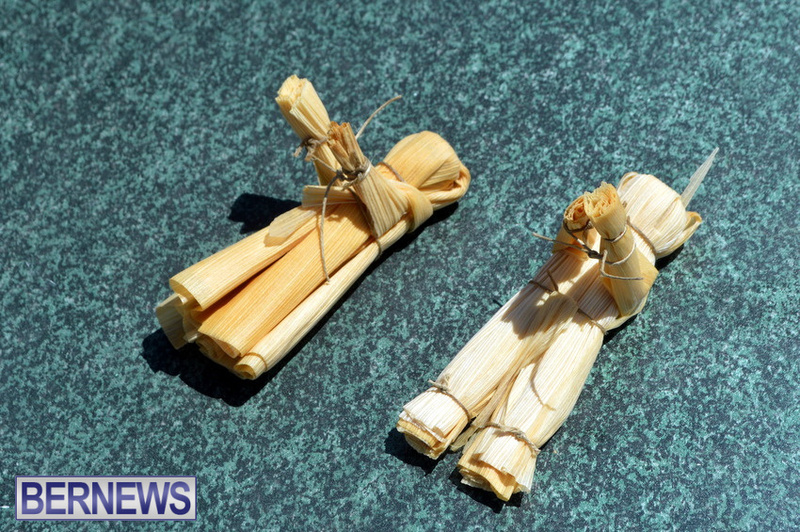 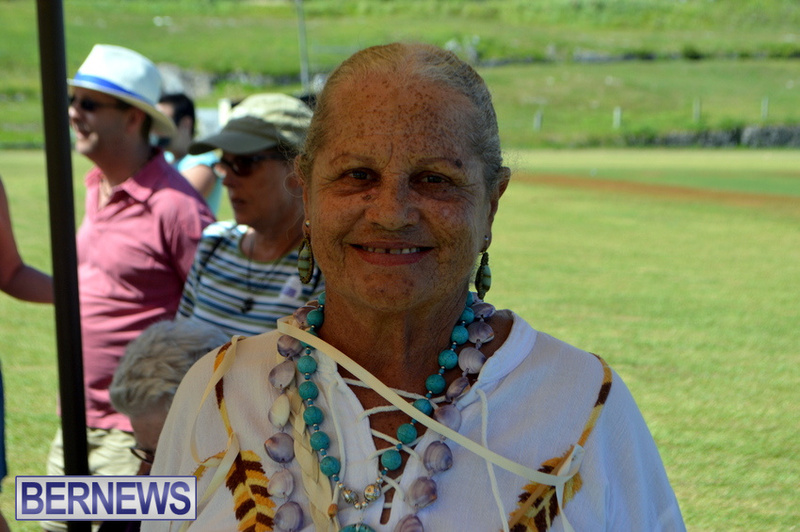 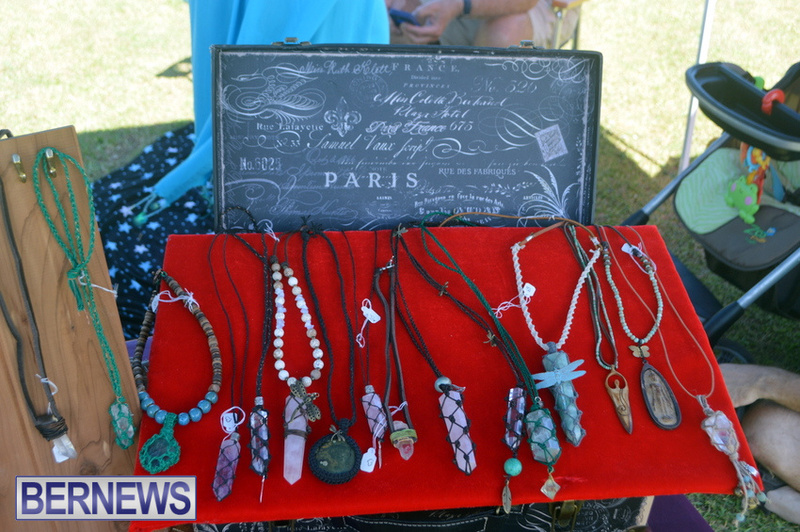 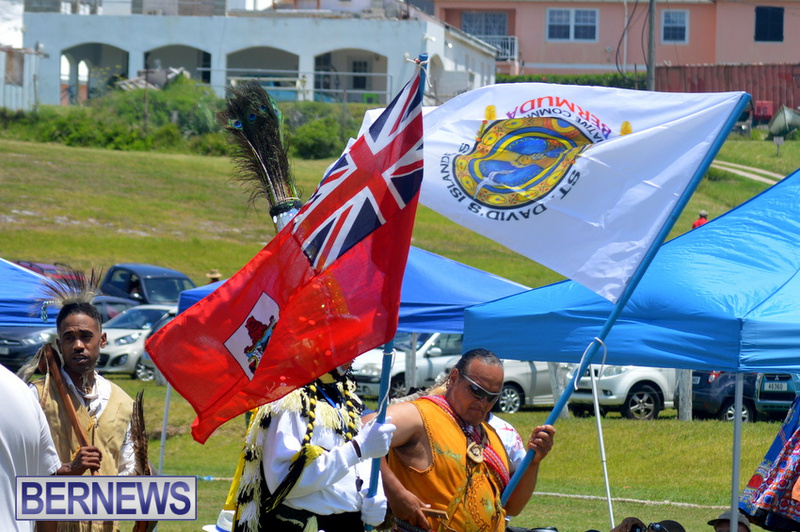 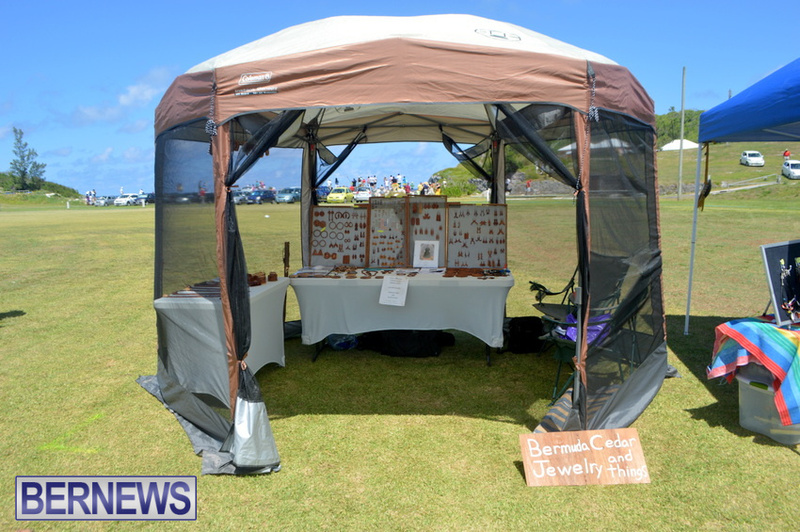 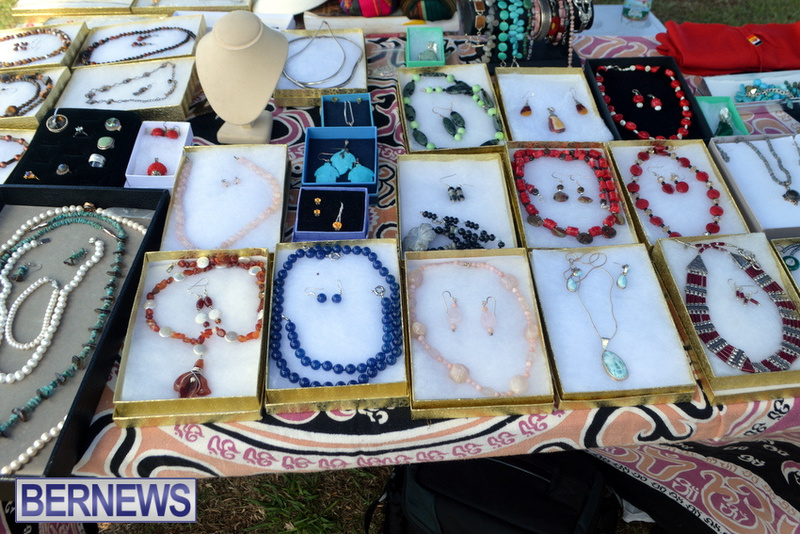 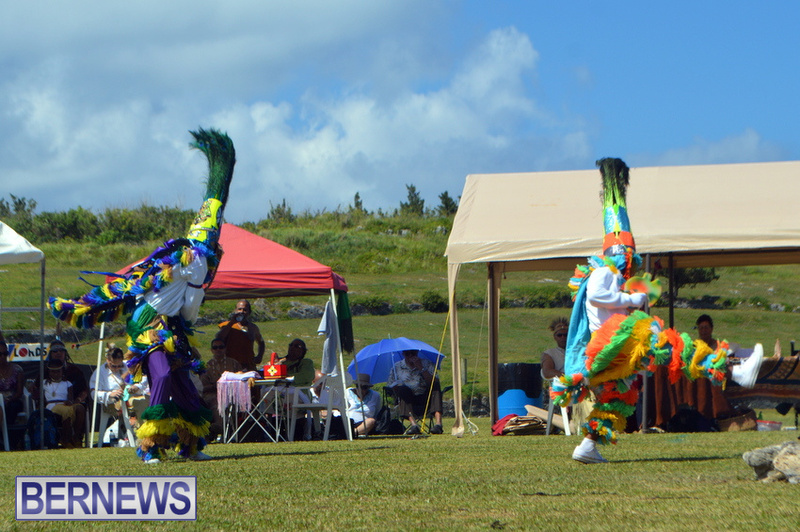 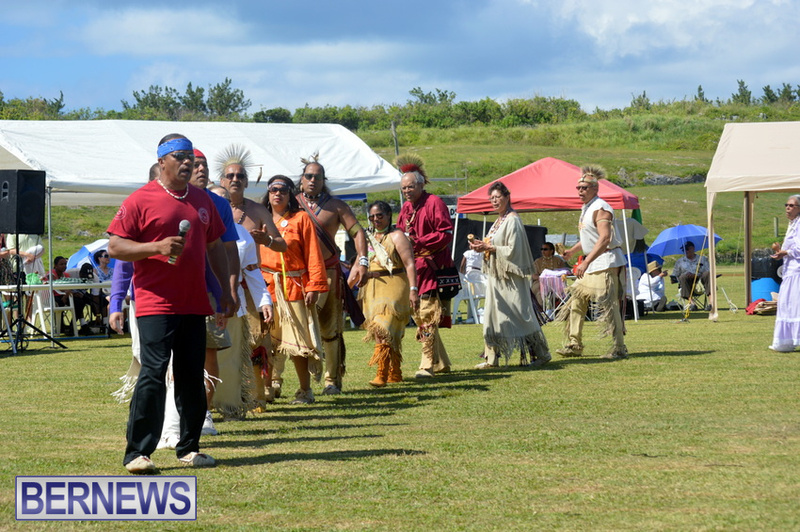 [Updated with video] The St. David’s Islanders and Native Community hosted the Bermuda Pow Wow today [June 13], with visitors from overseas joining locals at the St. David’s Cricket Club Grounds. 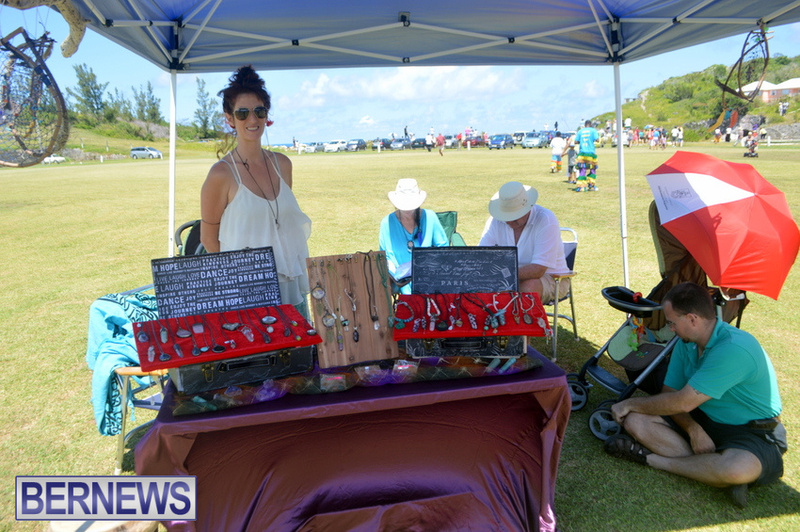 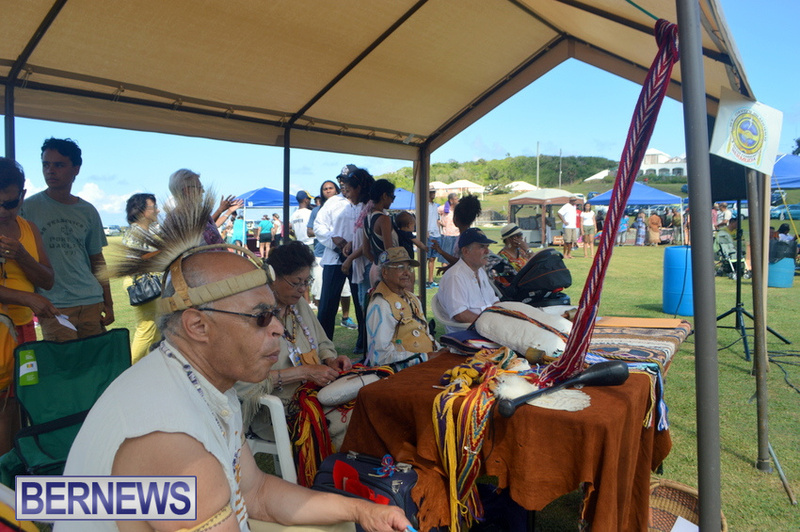 The event included a Libation and Dedication Ceremony, traditional St. David’s Island food, local and overseas Native American dancers, songs and drums, Bermuda Gombey dancers, craft and artwork stalls, and more. 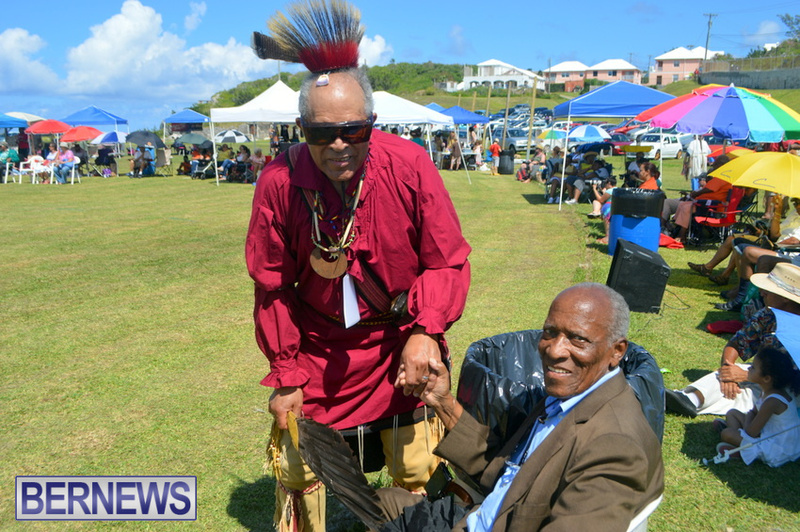 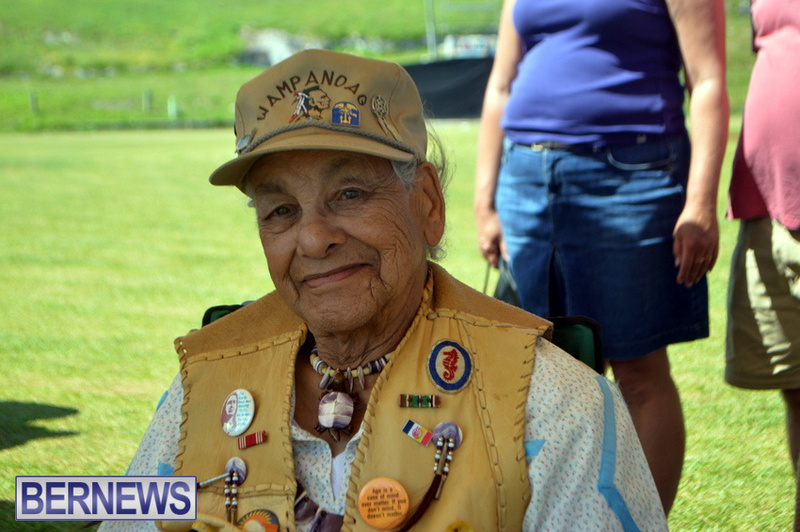 Some 40 visitors from overseas came to the island for this year’s Pow Wow, including 92-year-old Chief Vernon Silent Drum Lopez, the Chief of Mashpee Wampanoag tribe of Massachusetts. 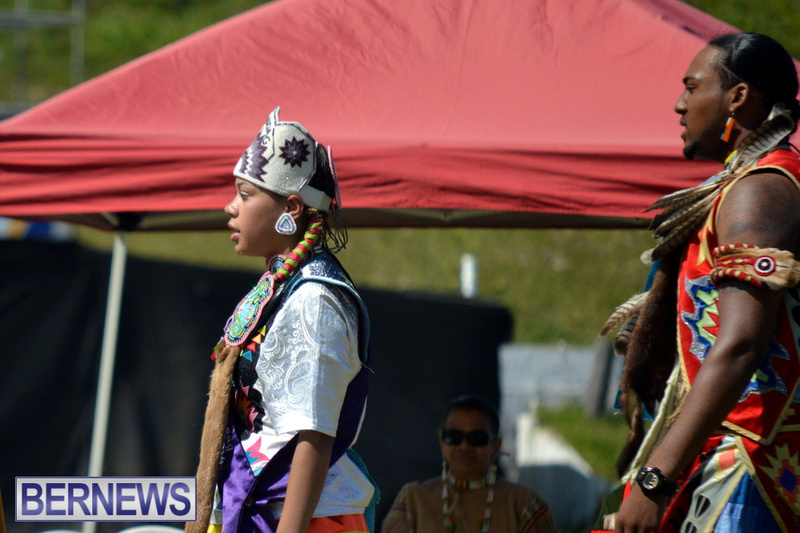 The Pow Wow will continue tomorrow, with the second day to take place from 2pm – 7pm. 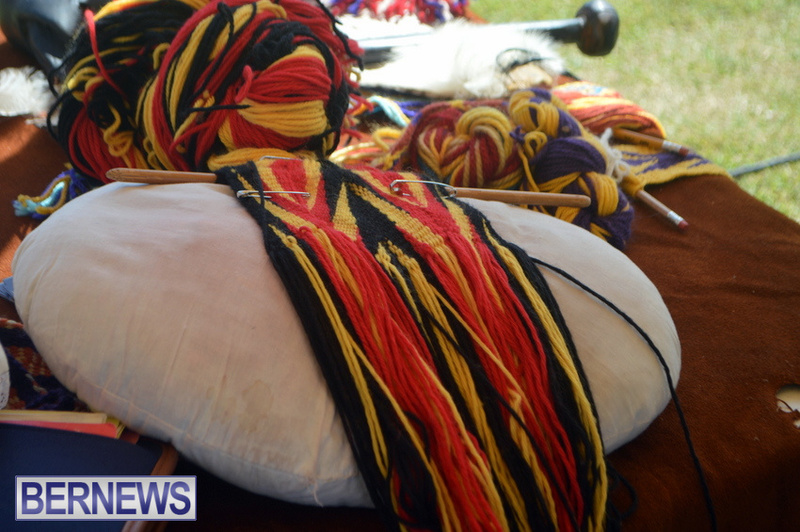 Admission will be $8 for adults, and $4 for children.